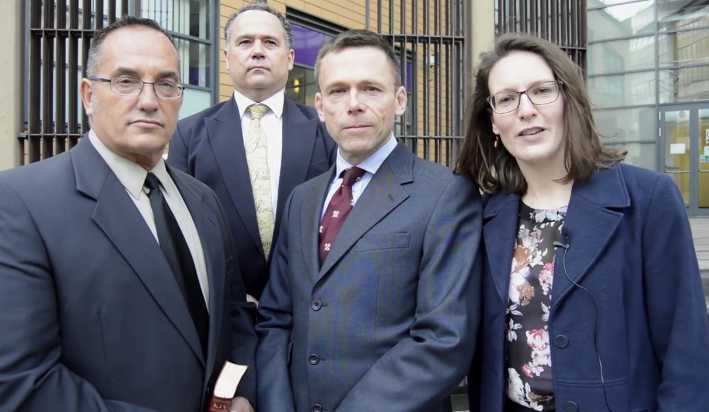 BRISTOL, UK — A trial is currently underway in the United Kingdom for three preachers who were arrested last July on accusations of “causing a disturbance” and engaging in “anti-social behavior” after some listeners became offended by their speech about issues such as Islam, Buddhism, homosexuality and divorce. Prosecutor Ian Jackson “told the court some of the statements made by the preachers may have been in the King James Bible, translated in 1611, but that did not mean they were acceptable in 2016,” according to the Daily Mail. Video of the incident was played in court on Friday. As previously reported, the men had been taking turns open air preaching outside of the Bristol shopping center on July 6, while others engaged passersby in conversation and/or held gospel signs. Two of those involved in the evangelism effort, Mike Stockwell and Don Karns, were American citizens visiting the country to share the gospel. Charges against Karns were later dropped. The men allegedly preached on a variety of issues, including Islam, Buddhism, Jehovah’s Witnesses, homosexuality, fornication, divorce—and also presented the gospel and took questions from those who stopped to listen. “[E]ven though the law’s not being broken, it’s people being offended by the gospel and what it says about our sin,” Overd also stated in a video produced by Christian Concern. Update 2:53 p.m.: As of Friday afternoon, charges have been dismissed against Clark, but Overd and Stockwell remain on trial.